Register by calling 363-1369 or the branch nearest you. Branches closed in morning due to staff workshop. If you need to learn or even improve your computer skills and are at least 16, this message is for you! Get your FREE training now on today’s most respected and professionally used software! 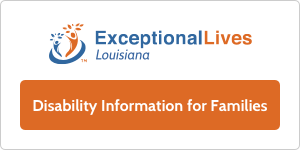 This FREE training is offered by the State Library of Louisiana in partnership with Louisiana’s public libraries. Training is presented by MS Gold Certified Partner trainers and funded through a BroadbandUSA grant as part of the American Recovery and Reinvestment Act. Note: Pine Prairie trainings Mondays, Basile Tuesdays, Mamou Wednesdays, Turkey Creek Thursdays, and Ville Platte Fridays for all classes. Classes are full day classes, 9 to 5. Or call the main library at 363-1369. Spaces are very limited, so call today!